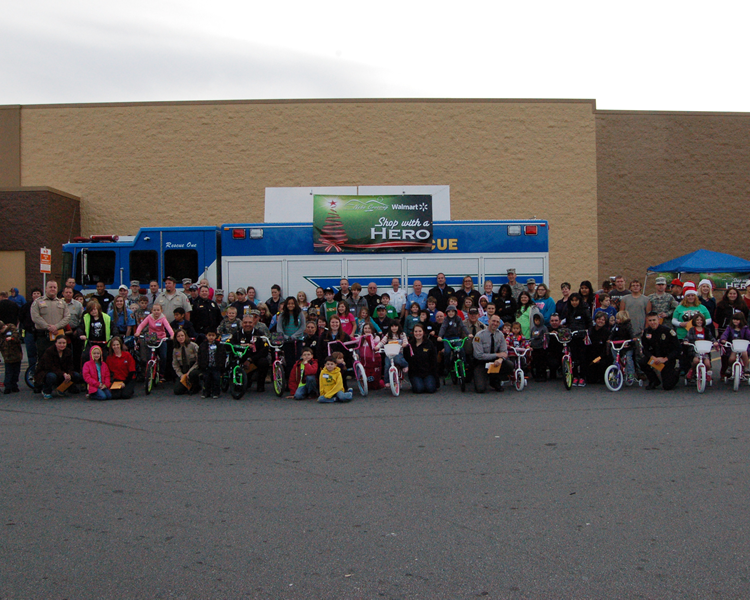 Each year the Marion Police Department participates in a special event called Shopping with a Hero. This event was started by one of our many partners, Pastor Bob Ritter and Nebo Crossings Baptist Church. Money is raised or donated to give to Nebo Crossings to help less fortunate children have a great Christmas. 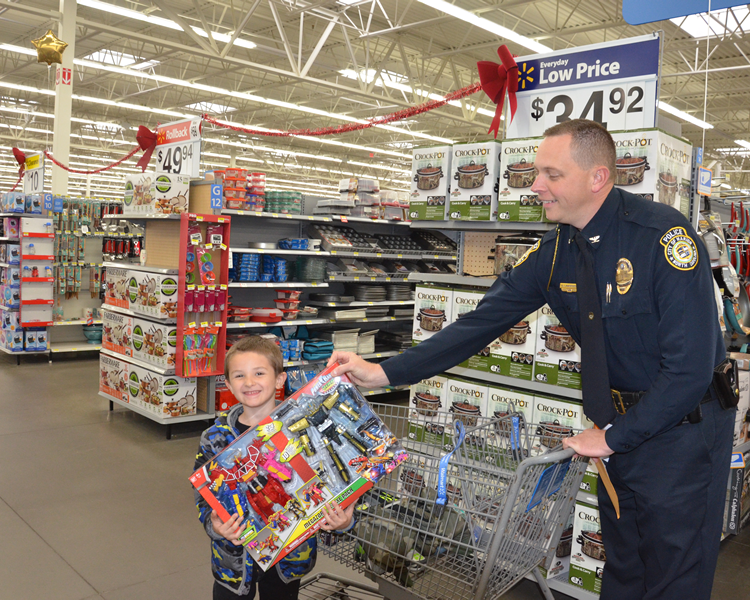 The Marion Police Department donates a portion each year from the proceeds raised selling our annual department wall calendars to this program. 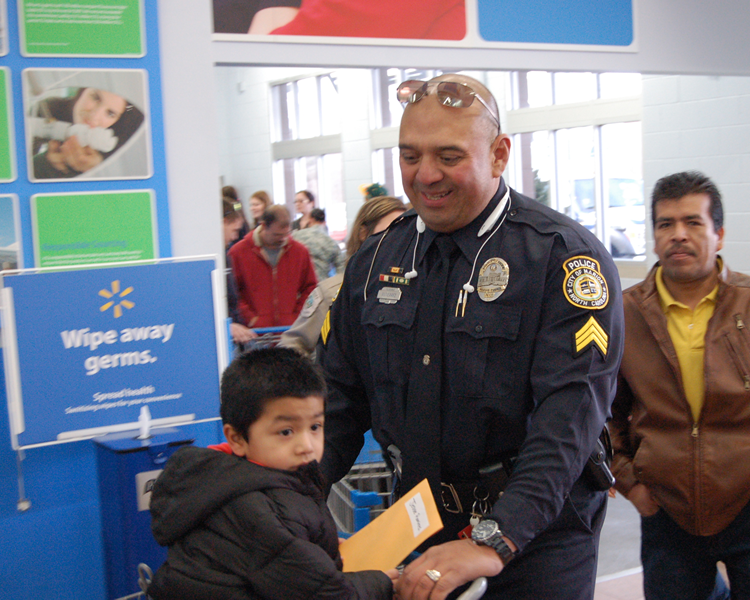 Additionally, the department also provides several uniformed officers to assist the children and their family. 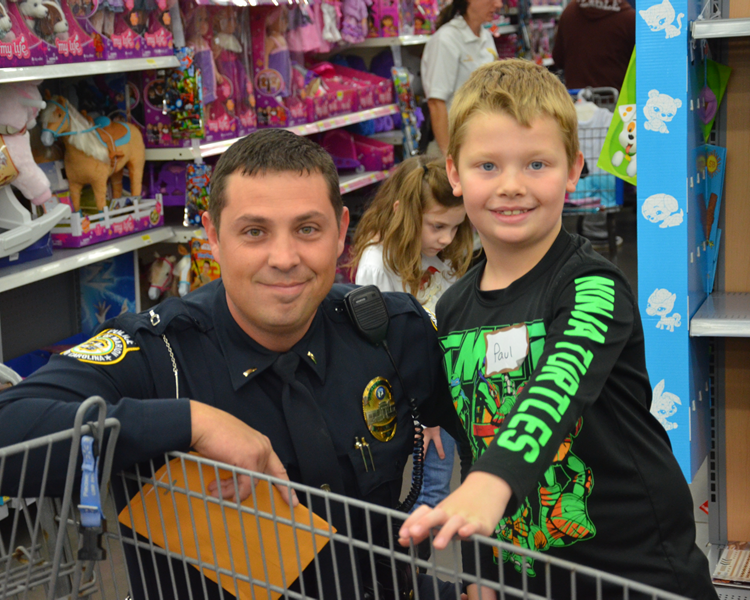 On that shopping trip a child is paired with Marion Police officer, Sheriff’s Deputy, State Trooper, Paramedic, Firefighter, or Military person for an hour or so of shopping. The child is given a shopping gift card to use on the trip. 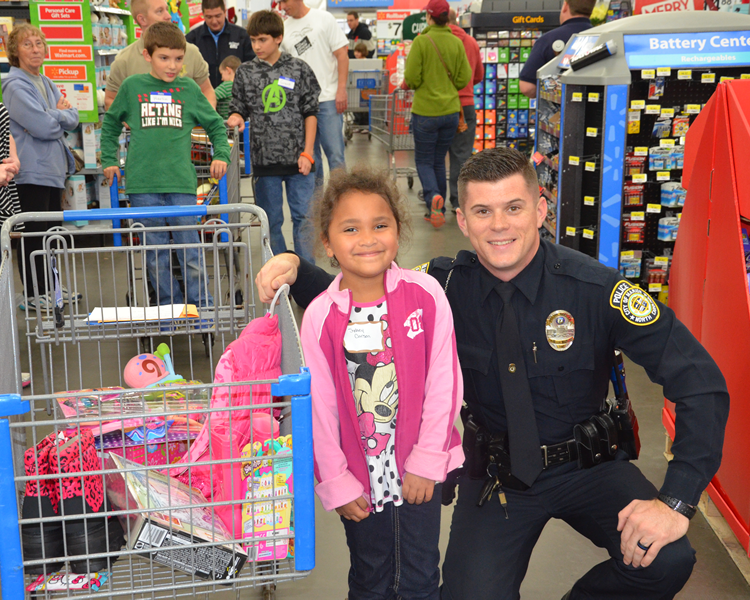 This is a great opportunity for our officers to connect with our community and hopefully make a positive impact in a child’s life.